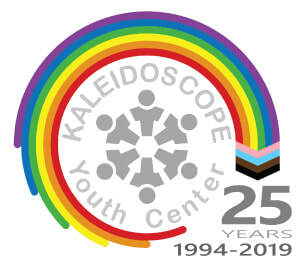 On Saturday August 11th, 2012, Kaleidoscope hosted our very first GSA Summit here in Columbus. Over the 2011-2012 school year our GSA network, called KYC Connect, grew from approximately seven GSAs to 33 GSAs and we had attendees at our summit representing ten different schools. The GSA Summit included training youth to be leaders, empowering them to provide their own insights on important issues, equipping youth with the tools that they need to make a difference in their schools and making sure that youth are aware of the supports at their disposal. Like all KYC programs, the GSA Summit is FREE for all participants. "As part of the National Association of GSA Networks, I connect with so many amazing people and organizations from around the country dedicated to GSA organizing," noted Latreece Whitfield, Network Program Coordinator. "Being able to discuss best practices, share success, and dialog about some of the challenges with this work is critical and the benefits show in the work happening here in Ohio."